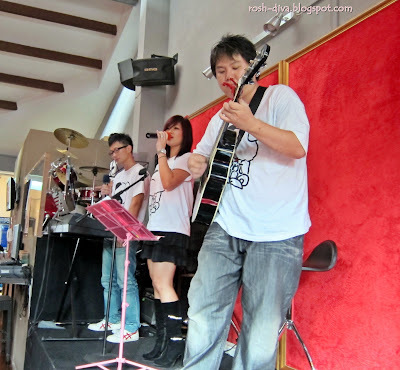 I went to Mint Leong's mini concert. It was a great success and I'm so impressed and at the same time surprised that Mint can sing that well and she composed the 10 songs herself. She has a talented bunch of friends who can play the guitar, piano and drums very well too. Mint has a warm and sweet personality. She is friendly, easy-going and personal that you cannot not like her. I found this youtube video featuring '依靠'. 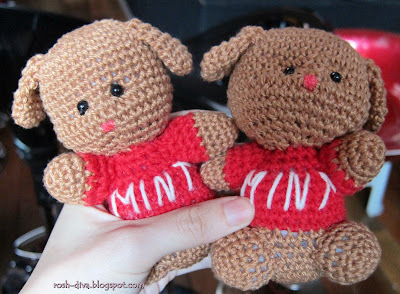 You can read more about Mint Leong's production at her blog here. OMG! I have no idea why I didn’t include the part about we should meet up. I’ve edited the post to add that in coz yes, I think we could arrange to meet up and with Regina too! Your “we” means who? And does your mum know about your blog? Hehe... my mum knows of its existence liao but luckily she doesn’t know how to use the internet. Thank you dear! It’s heartening to know that people read and appreciate my words. My posts tend to be very wordy at times so I perfectly understand if someone just scrolls through to look at the pictures instead. Nevertheless, as what I always believe “what have we but language to make sense of our senses stirred”, crafting the right words befitting of a post is what I always strive to do. Hence, it always makes me happy whenever people read my words. Oh and no worries about writing the tagging post at all! Hope you had a wonderful V-day too!